Act 1: Take a look at the promo at Moe's. What is the first question that comes to mind? 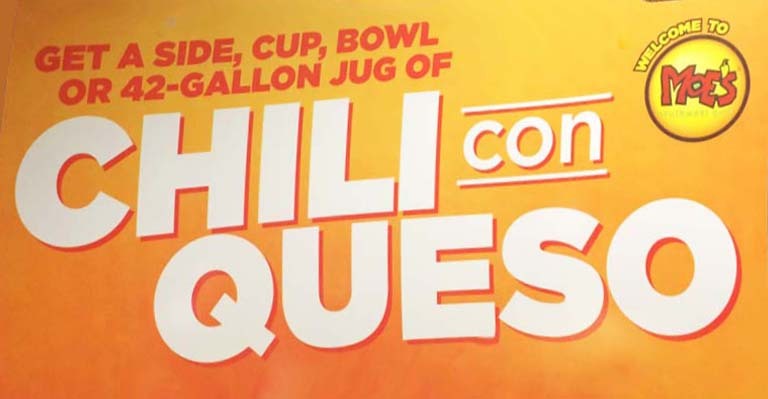 How much does a 42-gallon jug of Chili Con Queso cost? How many cups or bowls of Chili Con Queso is that? Before embarking on the problem solving process, consider asking kids for a best guess, then for a guess that might be too high, and finally for a guess that is probably too low. Act 2: What information would be useful? Ask students to consider what info they need to answer these questions. 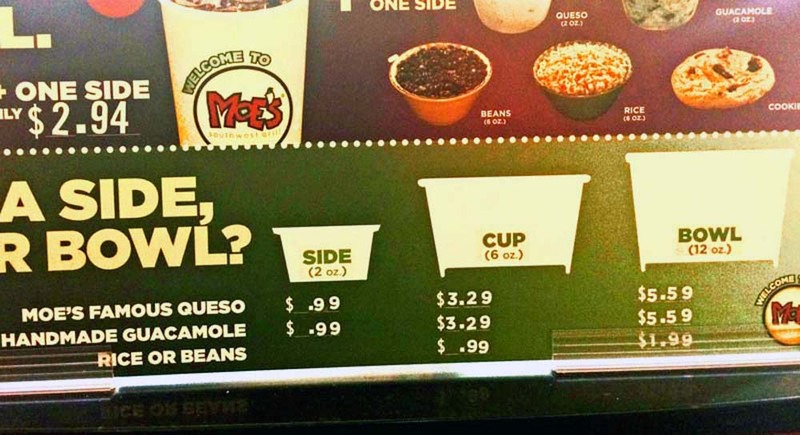 Moe's now has a published price for the Chili Con Queso. Act 3: Have students share solutions strategies. Consider posters, doc camera, or gallery walk sharing. Focus on the process. What strategies did students use to solve? What common themes do we see? Click here for an email from Moe's PR department giving the cost & a solution. For members we have an editable Word docx, teaching tips, and solution methods. 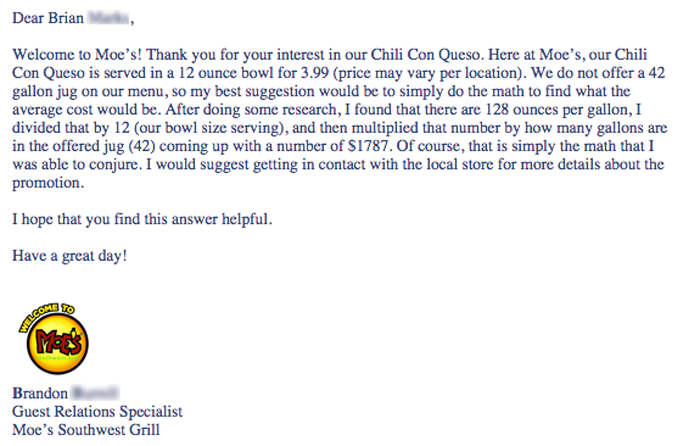 And of course you and your students could research other questions, like what does 42 gallons of queso look like? How many servings? How much fat? How many calories? Crushed today's lesson with a 20 minute @Yummymath discussion about 42 gallons of Queso. #reallifemath!